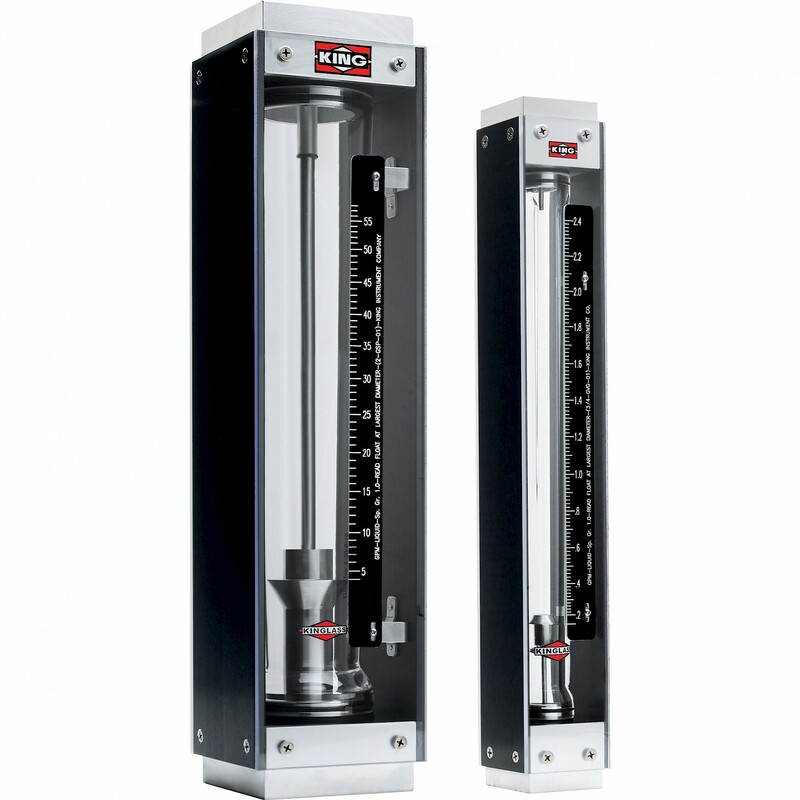 The King 7459 series is a high accuracy borosilicate Kinglass flowmeter offering a 250mm scale. All process connections and internal components are 316L stainless steel, fittings are available from ½” to 1 ½” NPTF. Viton® O-Rings are standard with optional Buna N, EPR and Kalrez®. All models have a 10:1 turndown ratio with 0.5% repeatability, with excellent class accuracy of ± 2% of full scale flow. Maximum temperatures are up to 93° C for liquids and 121° C for gases, with pressures available up to 24 bar. Liquid models are available with full scale flows from 0.9 litres per minute to 375 LPM. Gas models are available with full scale flows from 0.9 standard cubic feet per minute to 350 SCFM. Scales are available in any volumetric unit.